Come and visit Santa in our new and magical Christmas grotto. Children will be led by one of Santa’s elves into our very own Winter Wonderland, complete with twinkling Christmas trees and woodland creatures. Children will make their very own reindeer food to take away with them, complete a Christmas themed activity sheet and families will also have the chance to take some funny, family selfies in our very own Christmas themed selfie booth. The children will then settle down on bean bags ready to listen to Burston’s own talking reindeer ‘Sprout’ tell the story ‘Twas the night before Christmas’. A professional photo will be taken in Santa’s Grotto, a selection of photo gifts will be available to purchase at the entrance, please make your selection prior to entering the Winter Wonderland. Families will visit Santa individually and children will receive their age-appropriate gift. 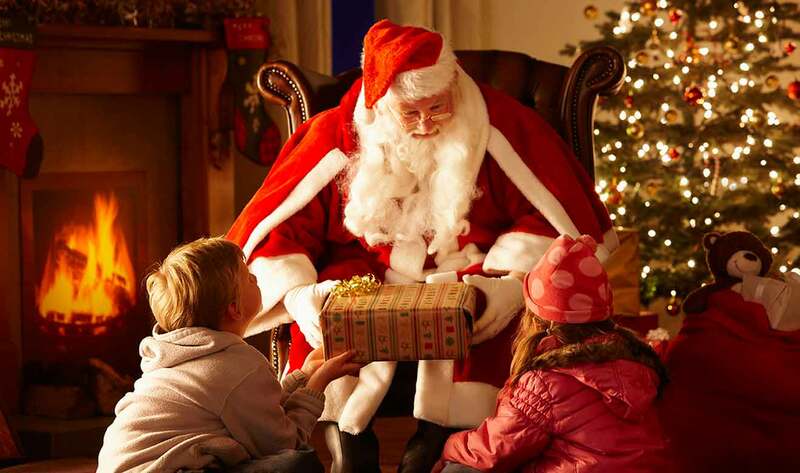 Click above to be redirected to our trusted partner for you to book your grotto tickets securely. Please return back to the Burston website once complete to book your food in our Winter Wonderland restaurant. Join us before or after your grotto visit (subject to availability) for our Christmas themed breakfast, lunch or afternoon tea. Developed to provide a more relaxed and quieter environment for your child.